The rumours surrounding Glastonbury Festival’s next headliner have been running rampant ever since tickets sold out in early October, with Coldplay believed to be making their way to the Pyramid stage in 2016. One act rumoured to be joining them is Queen, the legendary rock band once fronted by Freddie Mercury but now by Adam Lambert. Lambert has spoken out about the rumours, saying he was not aware of them but he would love the band to headline the Worthy Farm bash. 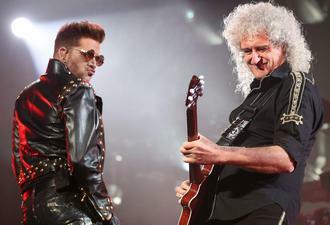 Previously, guitarist Brian May hinted that it was Lambert’s schedule that prevented the band topping the bill in 2015: “Look, these things get put on the table; it would be interesting to do Glastonbury if we were an operational unit at the time. Currently, the odds are on Coldplay, Adele and Foo Fighters to headline the festival, closely followed by Blur and AC/DC. Other bands to have said they want to headline the festival include stadium rockers Muse, who called it the “best festival in the world”.